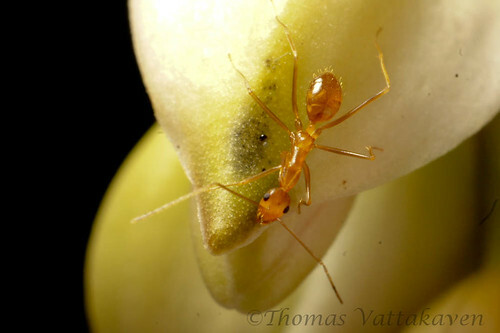 Ant photography is one one of the toughest types of macro photography, particularly so when you don't have the right gear and have to adjust your settings manually. 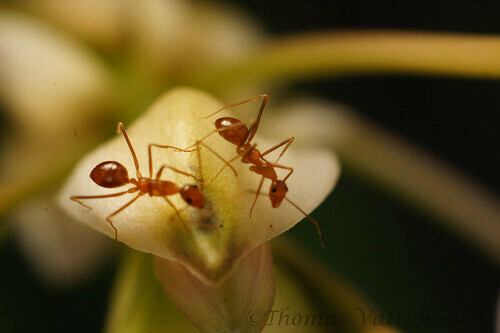 Most ants lead a busy life and hence are fast. 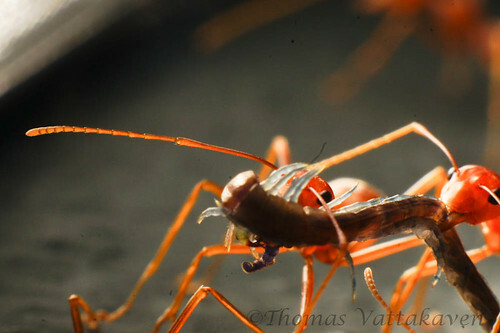 Getting your focus and exposure spot on takes a while with macro photographs, hence there are more misses than keepers in this form of photography. 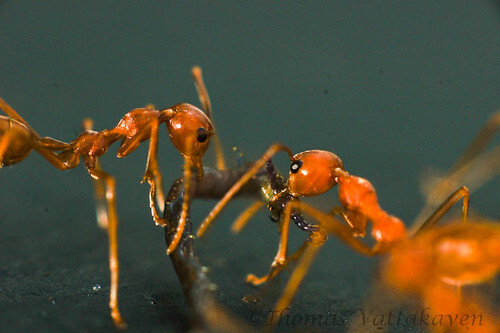 However, ants are also one of the most satisfying subjects to photograph. They are always up to something or the other and hence contribute to interesting situations. As you can see, the exposures and framing are all wrong. I need to improve on these with more practice. Moving on, I did get a few better shots. 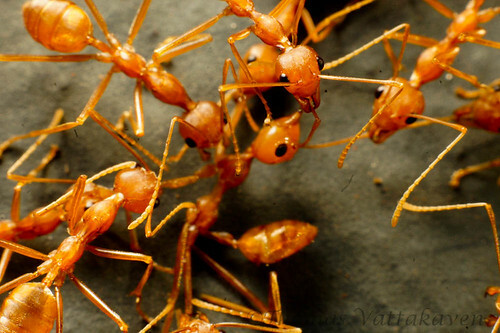 In the image below, the ant’s have crowded around a single individual. I`m not sure what is going on here. Scenes like this are frequent , perhaps the individual is injured, perhaps its something more mysterious. One shot that was able to frame with ease was this scene, where an ant was drinking the water that had fallen from the morning dew. 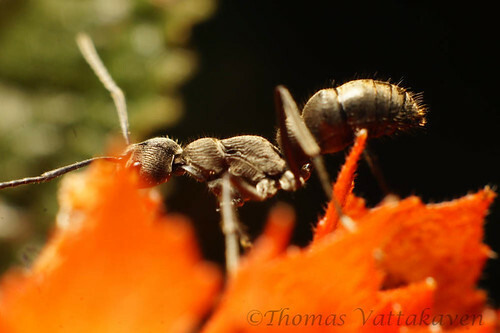 A second ant stepped over the first just as I was finalising the frame. 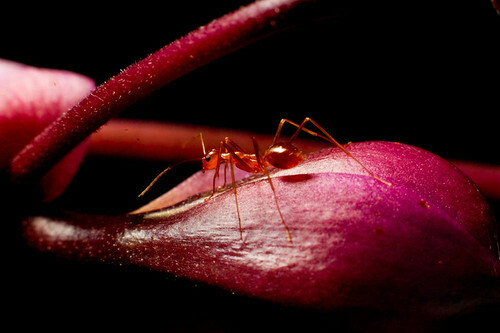 Ant macros takes on a complete different hue when photographed against flowers. 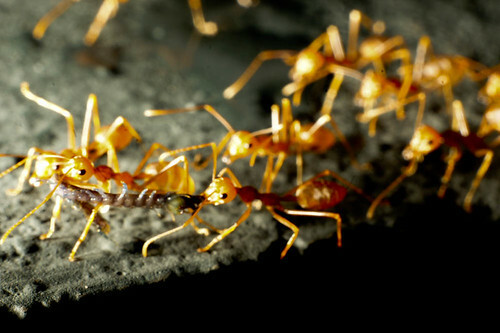 The background colours contrast with those of ants to make for interesting images. The following image was a near miss. 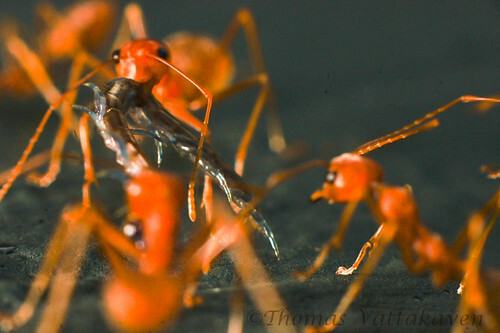 It would have made a great shot had I got the entire ant in focus. I hope to get better at this type of photography, watch this space for more. 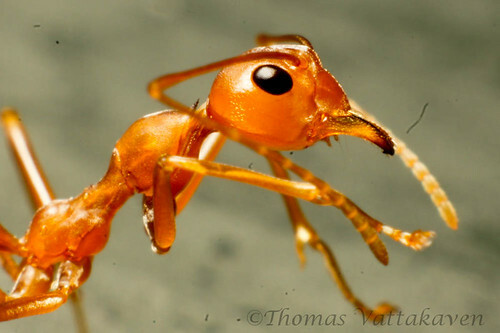 Meanwhile, check out this site for some great examples of ant macros. 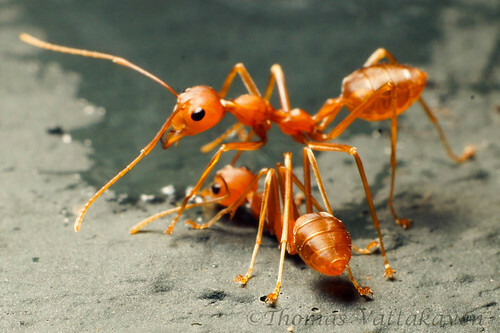 Those are some amazing ant macros!